Branded marketing videos are proved to increase purchases by eighty-five percent. It is said that in the coming years a large percent of the consumer internet traffic is going to be videos. Marketing videos help the brands to stand out. 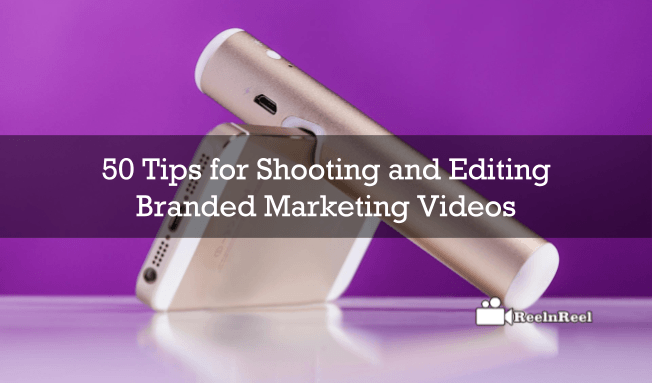 These tips will help to make compelling branded marketing videos. 1. Branded marketing videos just don’t happen. These should be perfect planning and preparation. 2. Create a story board to figure out what is to be shot even before the start of shooting. 3. Keep the shooting script ready. This is like a screenplay. 4. All the people related with the video should know beforehand what is expected from them. 5. This way time waste can be minimized during the shoot. 6. Visualize how the end product should look before starting the filming. 7. Do not ask your presenters of branded video to memorize pages of script. Some of them need not be actors. 8. Use stock B footage if you want difficult shots to film such as aerial shots. 9. Know the goals of your videos. 10. Ensure that the shot is not either too light or too dark. 11. It is possible to correct the brightness and contrast of the film in post-production to some extent. 12. Get the shot right on the day of the shoot. 13. Different kinds of light that are used in the video produced different temperatures measured in Kelvin. 14. Do not mix two light sources with different color temperature to avoid taking uneven lit shots. 15. Since the branded marketing videos are made for the target audience, it is important to define the target audience. 16. Do not just describe the features of the product or the service but show how these can improve the life and solve the problems. 17. Decide on which platform the videos will be uploaded. 18. Study the branded marketing videos made by the competitors and get inspired by them. 19. Shoot lots of close ups as these look good on small screens like mobiles and tablets. 20. Add motion graphics and animations to make the videos more attractive. 21. Before adding graphics or animations, keep the budget in mind as these are expensive to produce. 23. The editing process is an important process in branded marketing video. 24. Keep the footage and files you shot in one location on the computer. 25. Ensure that no clip or scene is ending or beginning abruptly. 26. Add transitions when necessary. 27. For professional look to the branded marketing videos, apply text overlays and visual elements. 28. For a branded look use the video templates and components available. 29. Shoot the footage keeping editing in mind. 30. Take close ups, wide shots, zooms etc so that you can cut and use them when necessary. 31. If the video is going to be longer, prepare a storyboard. 32. Give names to the clips in video editing software. 33. Load the footage into the editing software and create a rough edit. 34. Cut unusable shots and trim the beginning and endings of clips. 35. Use the close-ups and shots to enhance dramatic effect. 36. Shots should last longer than one second. 37. Static shots can last up to 10 seconds. 39. Add some titles at the end. 40. Go black at the end of the movie for dramatic effect. 41. Adding music and sound effects is an important part of video editing. 42. When music is added, the footage brings the different message across. 43. Try different kinds of music tracks for the video. 44. Use the music that will radiate the emotions you want to bring. 45. Have catchy background music to engage the audience. 46. Check the internet to make use of the royalty free music available online. 47. In the first 15 second of the video use a lower third graphic overlay. 48. Include your name and URL. 49. Intros and outros are important for branded marketing videos. The above said filming and video editing tips will help to create videos that stand out from above the crowd. A perfectly made marketing videos will increase brand exposure, drive traffic to the website and also boost sales.